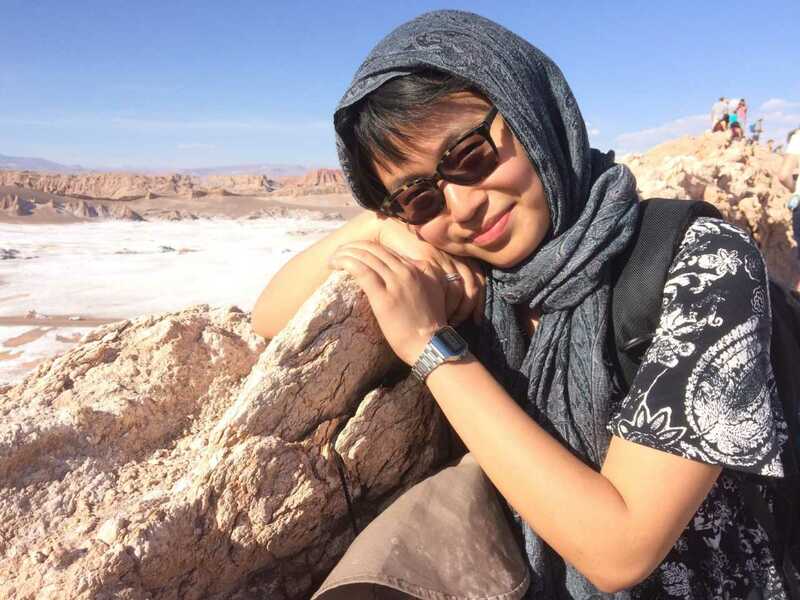 Our Fall 2017 Creative Fellow is Soe Han Tha ’18. Following her intuition since she emigrated from Myanmar to California at the age of 10, Soe Han (an Economics and International Studies double major, with a Chinese minor), “draws energy from both the beautiful and ugly aspects of life.” She “strives to use art to express human complexity and simplicity.” Tango tantalizes her, mosques move her, and Lisbon lingers in her heart wherever she goes to explore. 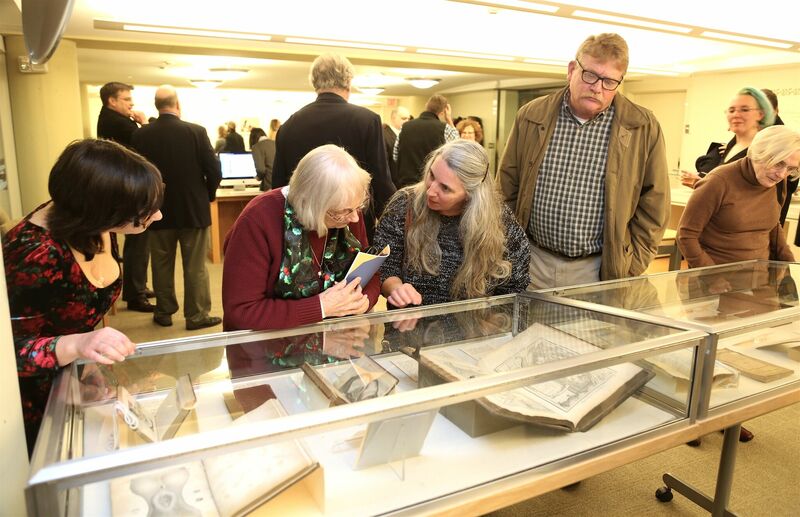 She will explore all the things that the Watkinson holds, and by the end of the semester, her collection of poems will be a testament of her adventures with Watkinson treasures. 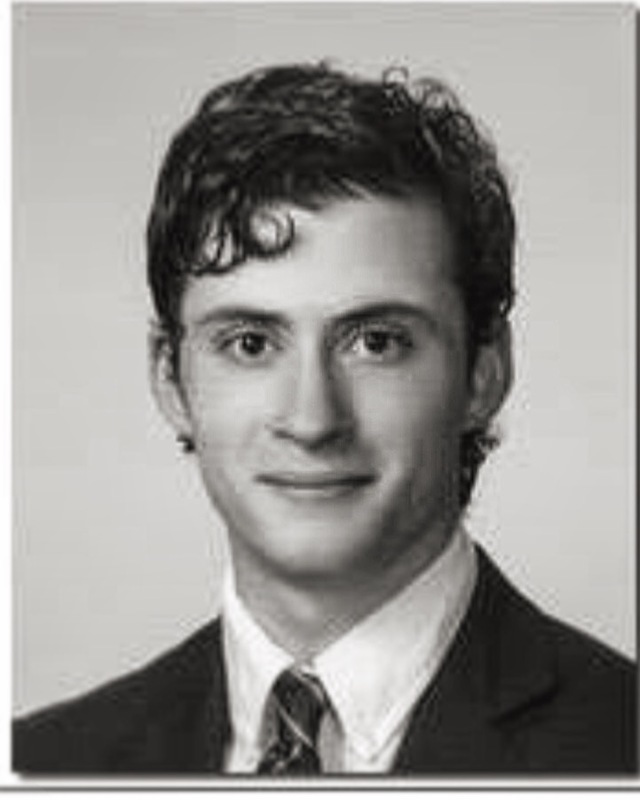 I am pleased to announce that Magge Nigro ’17 is this year’s awardee of the South Beach Writing Residency, offered by the family of Hyam Plutzik ’32. Magge is originally from Reading, MA. 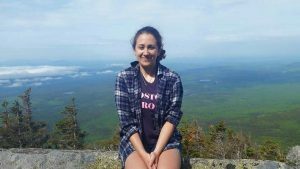 She entered Trinity College in the Fall of 2013, and became an English major with a concentration in creative writing (poetry) during her sophomore year. She has studied under professors Ciaran Berry, Ethan Rutherford, Daniel Mrozowski, Clare Rossini, Chloe Wheatley, Christopher Hager, and Milla Riggio. During her senior fall semester she was selected as one of the Connecticut Poetry Circuit Student Poets, and toured colleges in Connecticut with four other poets during her senior spring semester—reading her work at Trinity, Connecticut College, the University of Hartford, the University of Connecticut (Storrs and Waterbury), Central Connecticut State University, Manchester Community College, and Yale University. 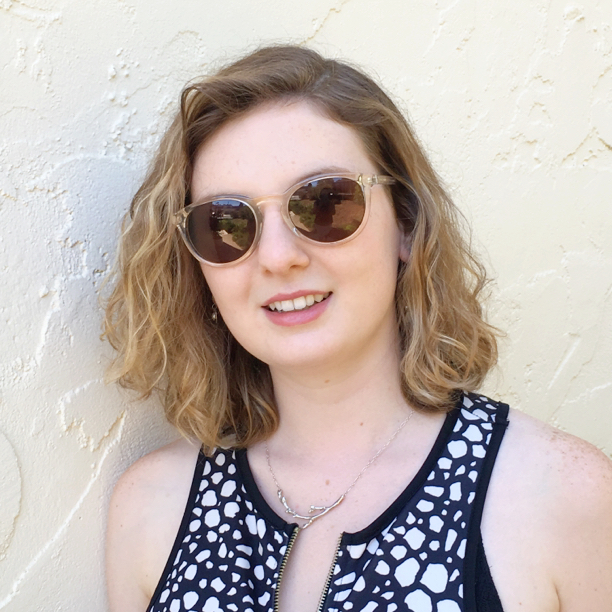 The Family of Hyam Plutzik (Trinity ’32) offers an annual residency (for five years, beginning in Spring 2014) in South Beach in the Betsy Writers Room to a graduating senior with outstanding talent in the literary arts. The award is given in May, as part of the graduation program (Honors Day). 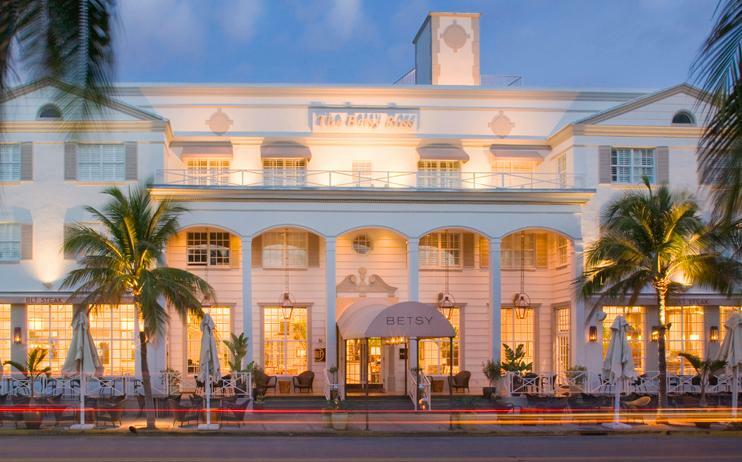 This residency comes with a $500 travel stipend, six days lodging, and a per diem of $50. During the residency, which can happen anytime during the award year (June-April), the recipient will be invited to participate in an Arts Salon to share his/her work with the community; planning will be done in close partnership with the visiting artist. 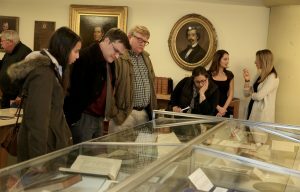 The residency will be awarded annually by the Head Curator and Librarian of the Watkinson, in consultation with College advisers, for a residency to be scheduled directly with the Betsy Writers Room. 100th anniversary of the “February Revolution “… in March! March 8 is the 100th anniversary of the beginning of “February Revolution” in Russia (the Russian Empire still used the Julian calendar at the time, so to them it was February 23, but to most of the rest of the world, it was March 8 (Gregorian calendar)). On this day workers engaged in demonstrations protesting the government of Tsar Nicholas II and clashed with police and the military. On March 12 soldiers in the Russian army joined the workers resulting in the abdication of the Tsar on March 15. In 2001 Henry Fuller ’38 donated his collection documenting the Romanov family including photographs of Tsar Nicholas and the Tsarina Alexandra, and their family during the last years of Nicholas’ rule, and extensive correspondence between Fuller and Alexandra’s close friend Anna Virubova. 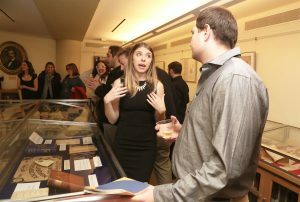 Theresa Battaglio, a graduate student in American Studies, recently mounted an online exhibit using the collection. The Watkinson Library encourages people to come in and view this unique resource as we commemorate this important date in history. Comments Off on 100th anniversary of the “February Revolution “… in March! 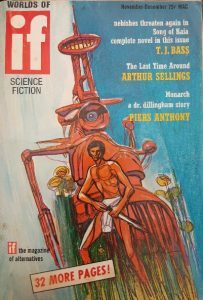 As my time with this collection draws to a close, I was able to take a look at another interesting science fiction magazine. 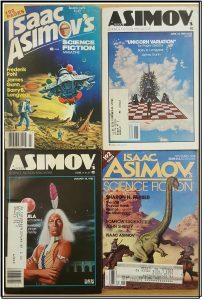 Issac Asimov’s Science Fiction magazine was first published in Spring 1977 and makes the short list of SciFi Magazines still published today. Although it has changed publishing schedules over the years, since 2004 IASF has settled on ten issues per year. 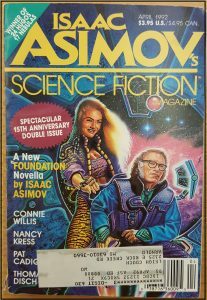 In November of 1992 the magazine officially shortened its title to Asimov’s Science Fiction. It currently offers both digital and paper subscriptions. 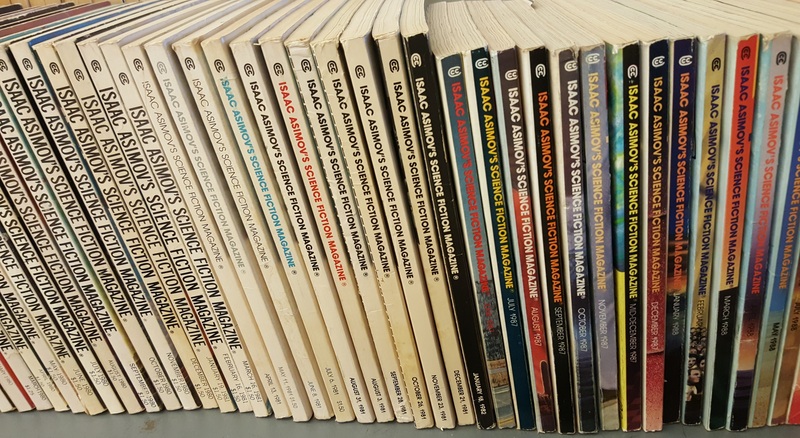 The image (left) shows the evolution of the covers. You can see the changes in the font and name size. 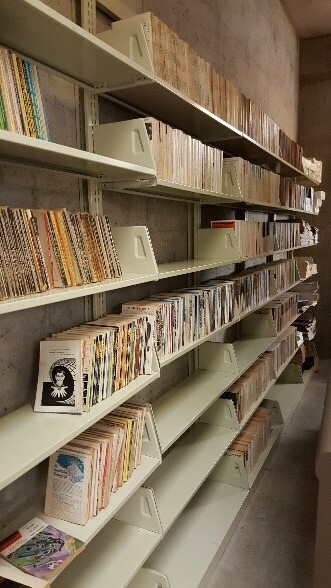 The Leigh Couch Collection includes copies of the magazine from 1979 to early 1992–or 185 of 444 originally issued. The picture of the bindings shows a clear progression of the front, style and colors used in the printing process. Over the course of exploring this collection I have observed more things that I have time to write about. 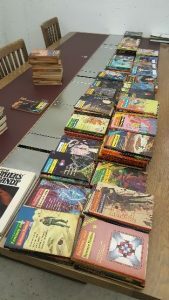 A few things that I found so interesting was overall trends thoughout the entire collection that helps fit into the greater narrative of science fiction and society. Including but not limted to shared authors, printing challenges, price changes and content struggles. This collection is a fantasic opportunity waiting for researchers to find their own path and discover the wonder. 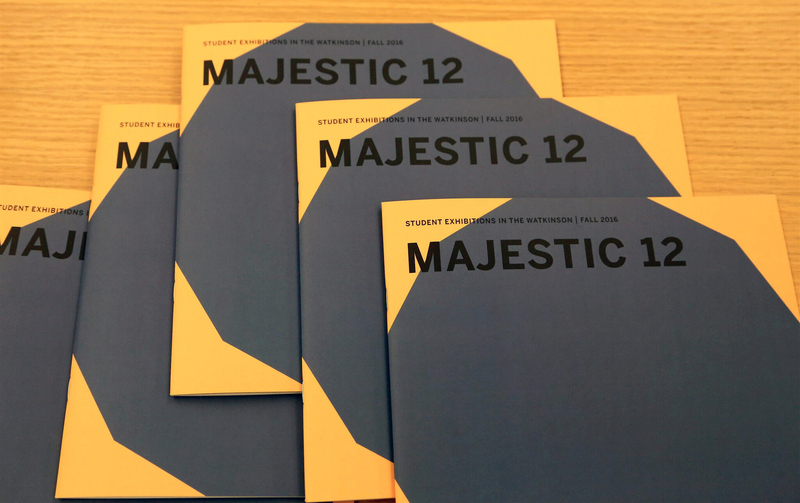 Last night’s gala opening of Majestic 12 was a great success! More than 60 people came from as far as 100 miles away to attend the opening of our sixth annual showcase of student exhibitions, which is the product of American Studies 835, my Fall museum studies course. The students installed a sample of their items in one case (each) in the reading room, which will remain up until June 30, 2017. Their full exhibitions are online as well, and links to all of the shows are HERE. And here is a fuller album of photos on Flickr. Copies of the booklet we published are available–please e-mail the Head Curator. 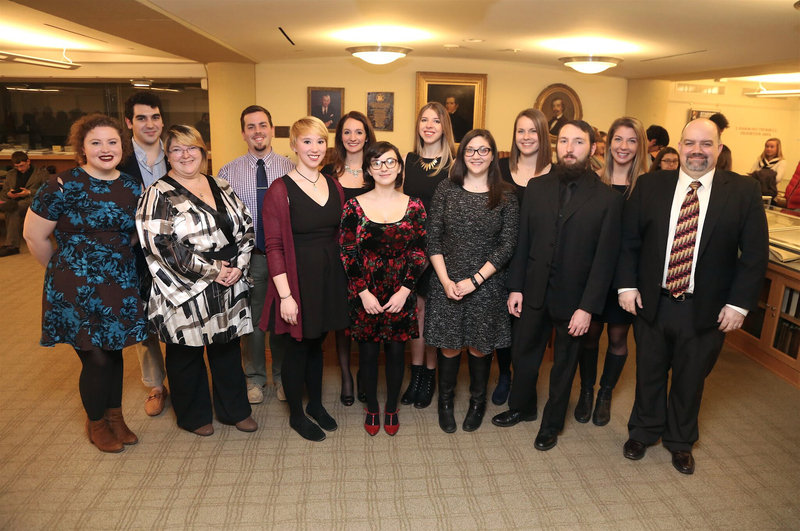 Many thanks to the students for all of their hard work this semester! Comments Off on Majestic 12! Linh Tran’17 was born in Russia, raised in Vietnam and came to the U.S for an undergraduate degree at Trinity College. She is an Economics major with a deep interest in the financial services and real estate industries. Having recently completed her spring semester in Denmark, where she was a student blogger, she explored her arts interest at Trinity as the President of Ballroom Dance Team and the contributing photographer of Humans of Trinity. Linh’s proposal is to learn about classic pottery patterns, especially on the works of Josiah Wedgewood. 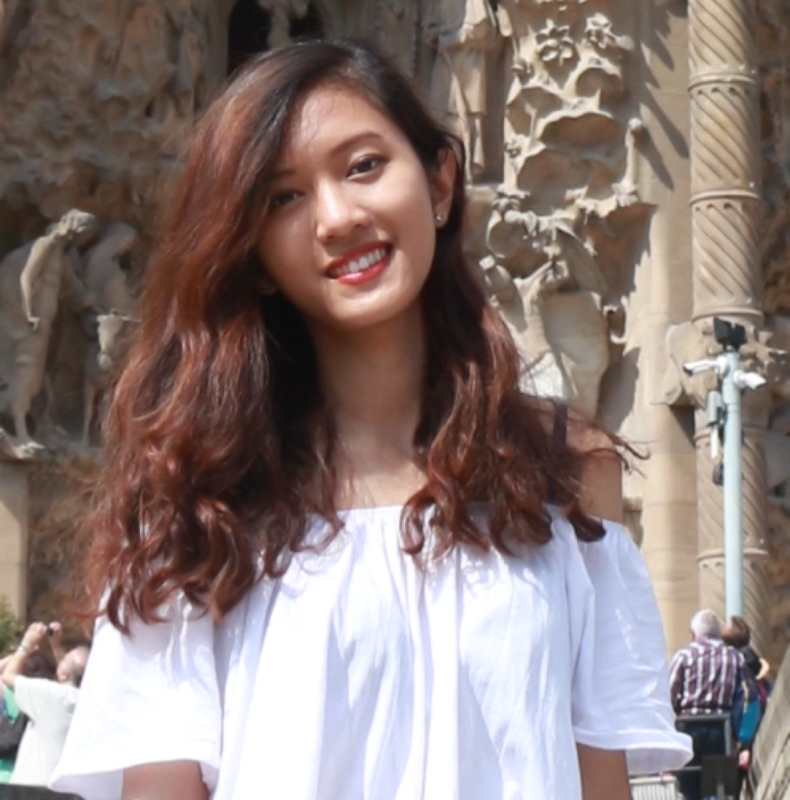 Inspired by Trinity and Trinity’s history, Linh intends to incorporate an image of the school’s Chapel, the year it was built and Trinity’s logo into the patterns that she will draw on pottery. She intends to show the harmonious combination of classic and modern patterns and also wants to donate to Trinity the potteries that represent the school’s spirit. 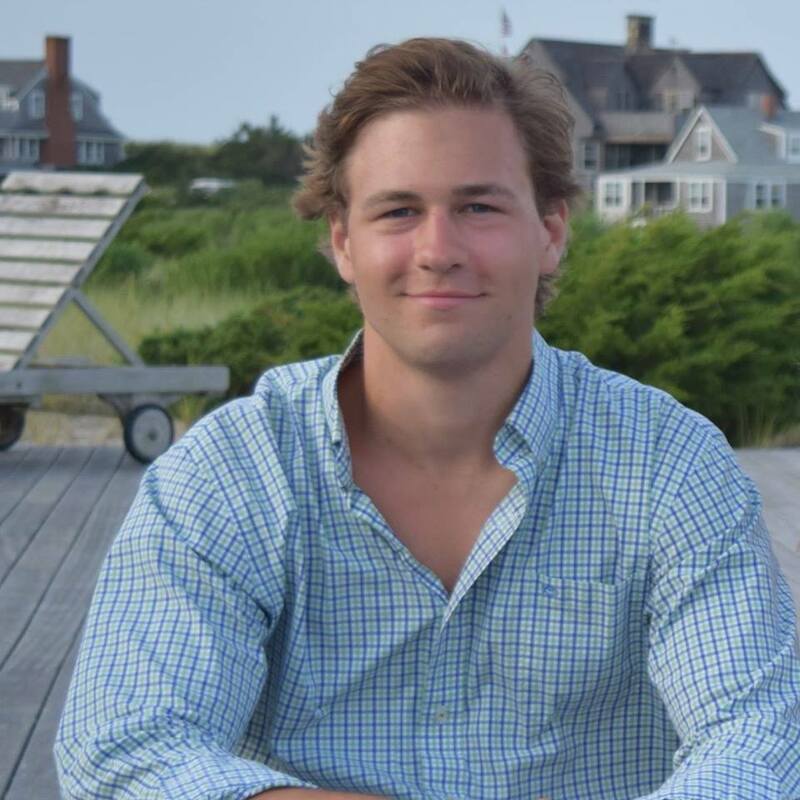 Charles Meier McMahon ’18 of West Hartford, CT, has always been fascinated by the perceived dichotomy between western and eastern civilizations. 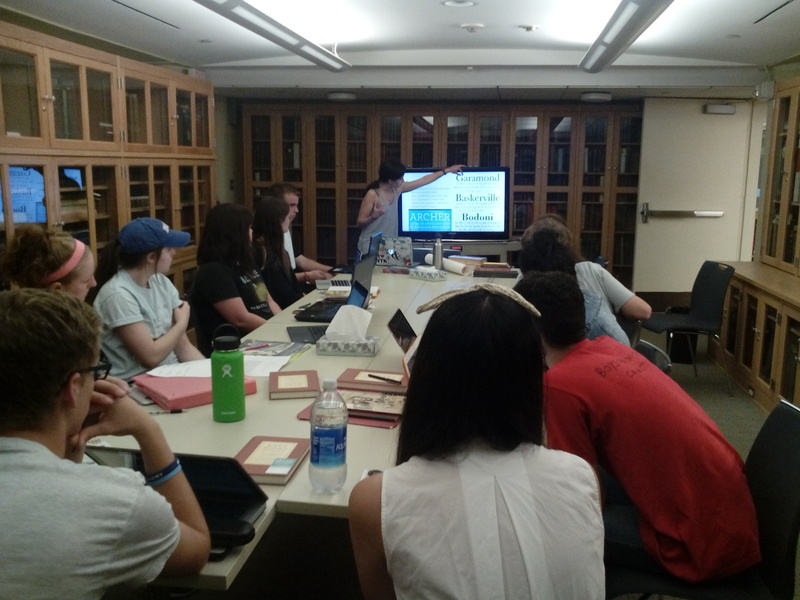 Throughout the course of this semester, he will be encountering texts that relate to this theme, from analyzing a religious manuscript to reading travel narratives, and also looking at the materials that went into producing them. He will keep a blog of his observations, and by the end of the semester intends to produce an illustrated pamphlet. Andrew Biedermann, ’18 is an art history major currently in his junior year. He hopes to attend graduate school in art history and one day enter the art world. Andrew’s interests in art are broad but he has been drawn for some time to museums and the profession of curating. Last year he curated a student art exhibition in Trinity’s Career Development Center, selecting 50 of the roughly 100 art submissions. 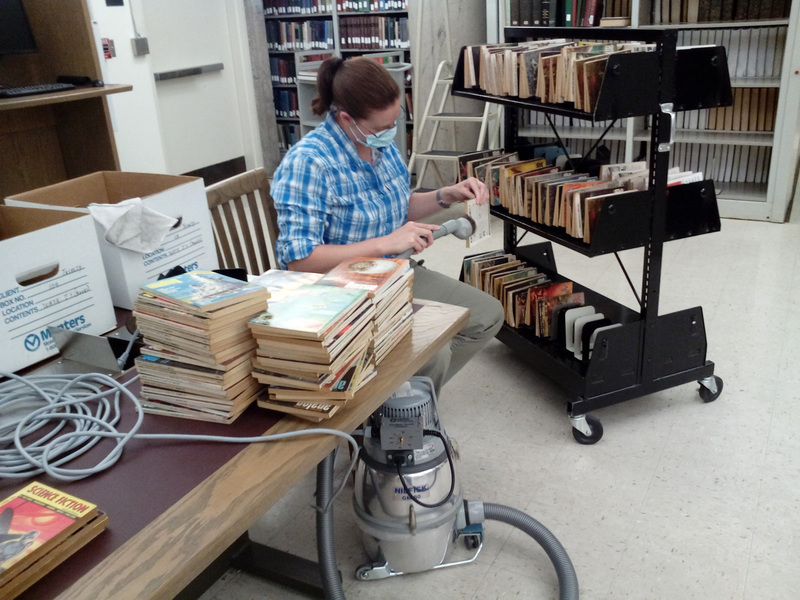 This semester Andrew is delving into the Enders Collection of ornithological books. He expects to compile an illustrated catalogue of books pertaining to bird hunting. While Andrew does aspire to one day begin hunting, his main interest in the topic stems from the stunning prints he has encountered. 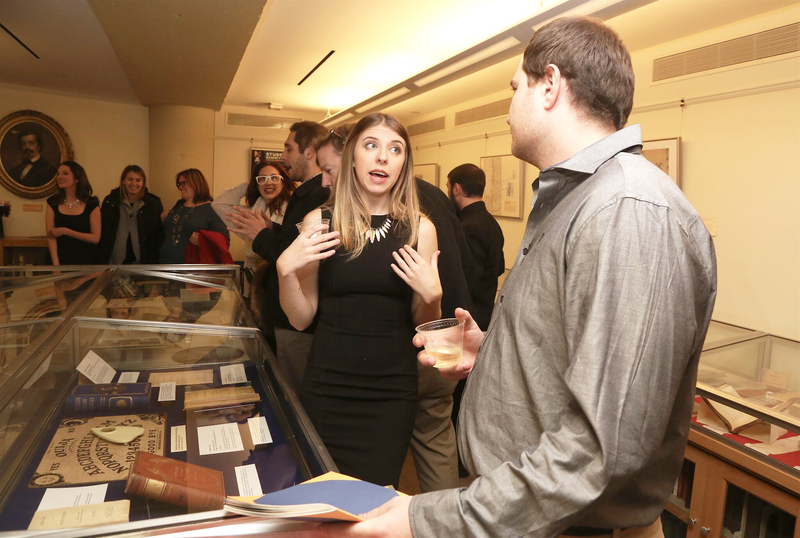 Olivia Gibson ’17 is a International Studies, Religion, and Classics triple major at Trinity. She is also the president of the art collective on campus (The Mill) as well as Station Manager of the college radio station. 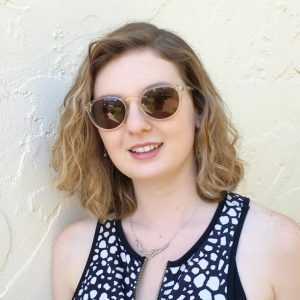 Having been born in the heart of Silicon Valley and then raised in the old world surroundings of St. Andrews, Scotland, Olivia has always had a keen love of the interplay of past and present. 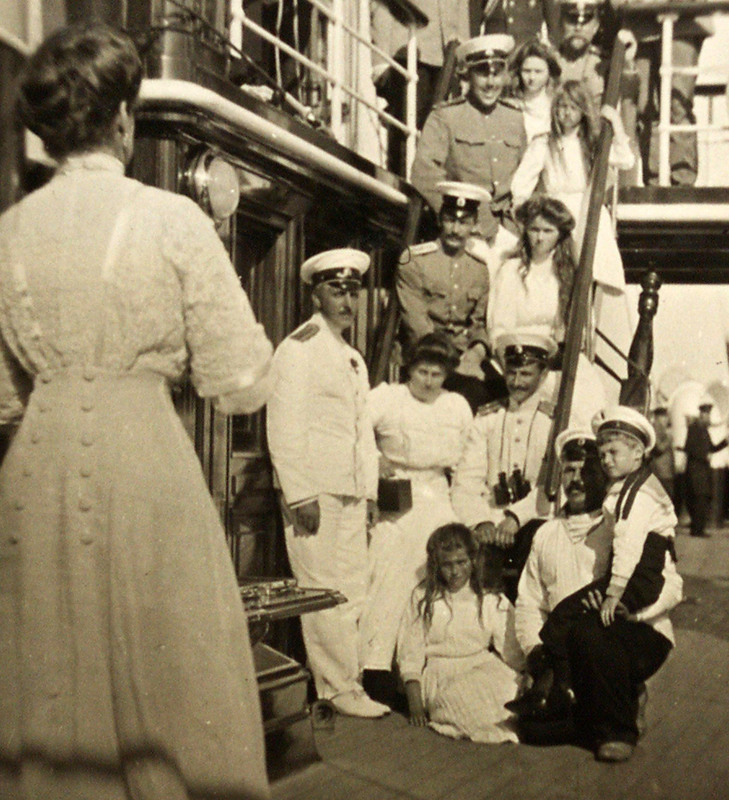 Her proposal, motivated by her passions for history and art, is to use photos from the archives as well as her own observations to create a series of images which look at the history of student life at Trinity College, imagining how different scenes and organizations have changed over time and how different time periods can be layered over each other. As progress continues on this collection, I have switched gears. 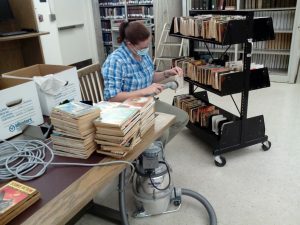 Individual cleaning and air drying of each volume has proven to be a time consuming endeavor. This gear change allowed me to plow through five bankers’ boxes of materials in the same time I was able to work on two boxes. With the extra time I was able to focus on the categorizing and sequencing the numerous volumes. Occasionally a duplicate volume was located and the even rarer third copy of a volume. One unexpected find that I found very interesting was the way that some volumes were marked for postal delivery. In more recent titles the practice of placing the addressee label directly on the magazine publication seems to have become more common. However, I found a few that were still in their original brown paper postal wrapping. According to the US Postal Service at about.usps.com under their Postage Rates for Periodicals: A Narrative History page, periodicals were given a very low rate in the interest of free press that was supported by both Thomas Jefferson and George Washington. This explains the second class marking that seems to have gone out of existence in the modern postage rate schedule. For me it is easy to see why this collection will appeal to a diverse group of researchers. 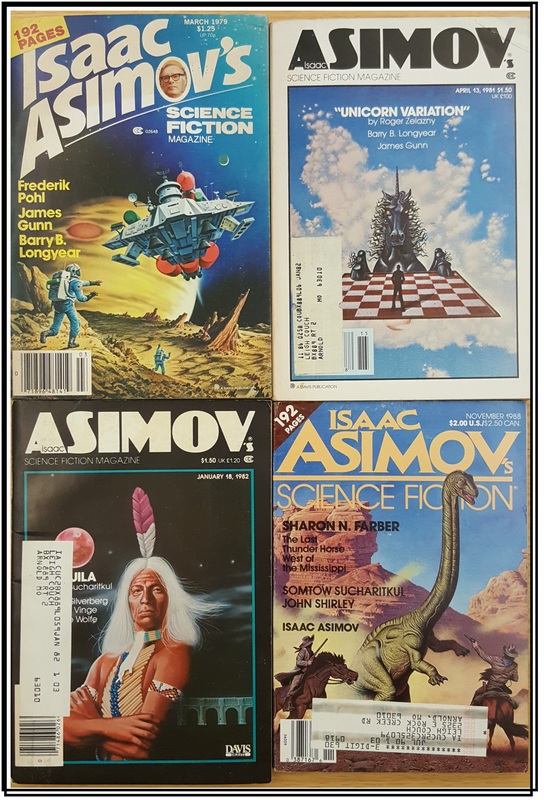 A researcher could easily look at the printing/binding process of mass publications over the course of many years or the advertisements that find their way into the different magazines or the correlation between pop culture and science fiction predictions. 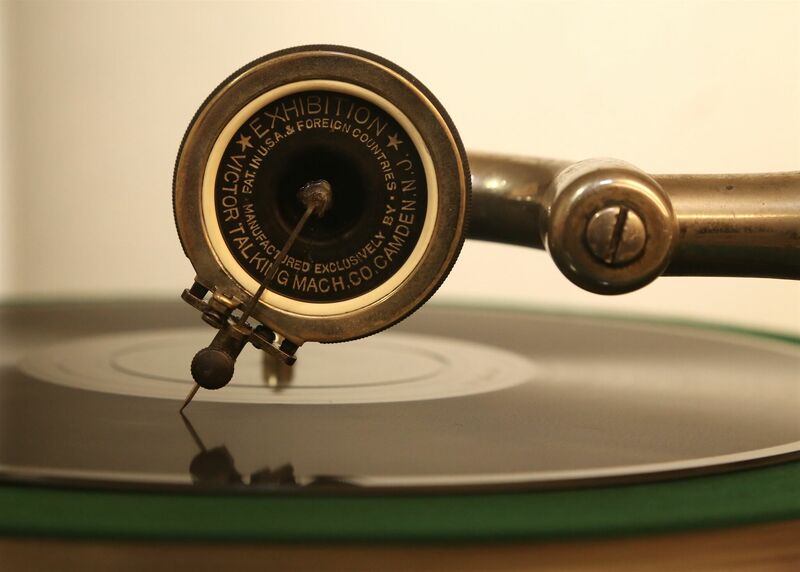 No matter which lens you use, this collection provides a phenomenal look into the past. This amazing collection has begun to take shape. 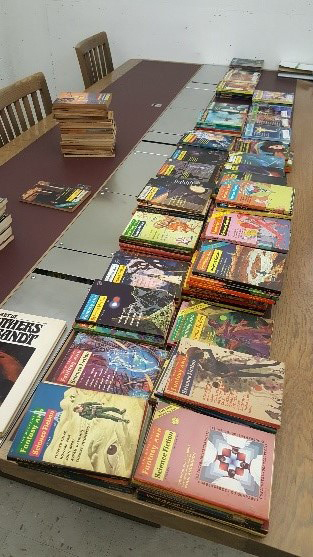 This week saw huge strides in the organization and chronological order of this overwhelming set of science fiction magazines. 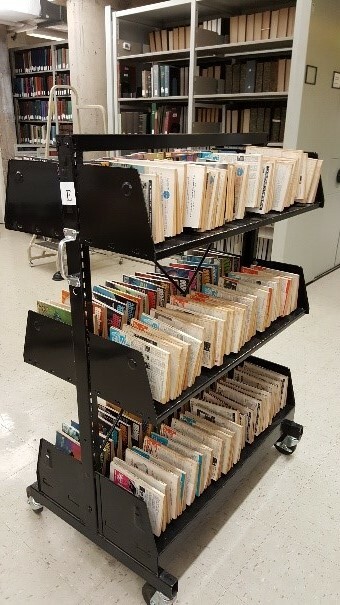 To accomplish this task, it was necessary to sort the magazines by title then by decade, year, then finally by calendar year. It was absolutely amazing to see such a diverse set of images and see the progression of each magazine over the years. 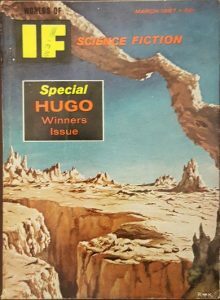 Thus far the majority of the magazines are from the following publications; Analog/Astounding Science Fiction, Galaxy, The Magazine of Fantasy & Science Fiction, and Worlds of If Science Fiction. 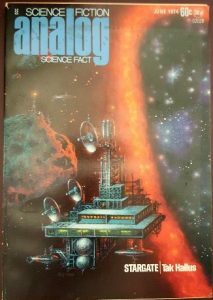 Analog/Astounding Science Fiction now commonly called ASF has been in publication since the 1930’s. Astounding Science Fiction was combined with Analog in the 1960’s and is publishing. Galaxy was published from the 1950s-1995 in paper and is now in digital format. The Magazine of Fantasy & Science Fiction began its publications about 1949 and is still in publication. Worlds of If Science Fiction also began its publications about 1949 and is still published. If you are interested in the ins and outs of the publication dates and history of the magazines, I found lots of information from www.sf-encyclopedia.com to be very enlightening. 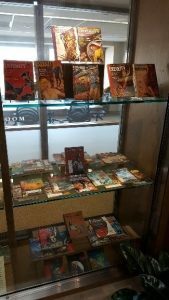 Approximately fifteen to twenty percent of the collection still needs to be sorted but for now it is on display in the atrium of the Raether LITC, near the circulation desk (Level A). 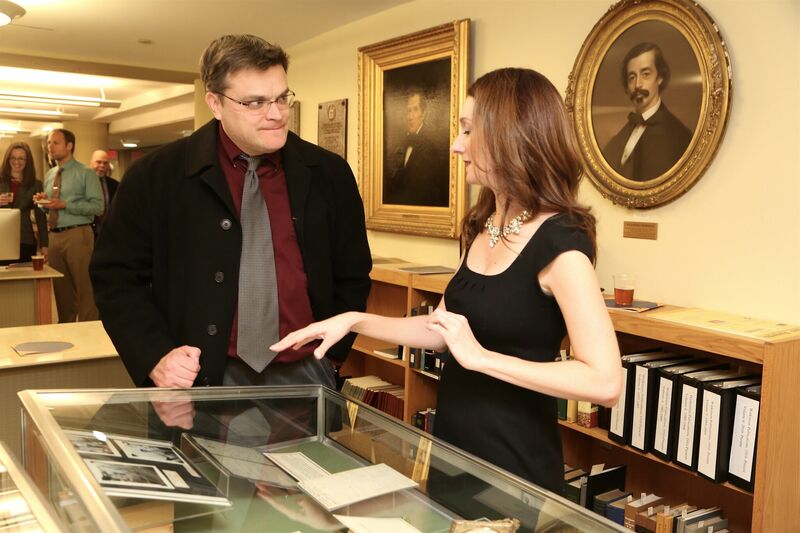 Feel free to stop by and look at the wonder that is this remarkable collection. 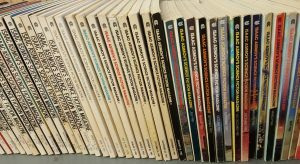 Comments Off on Piles of scifi! I am beginning to see an emerging pattern of common imagery and themes. Imagery that persist within science fiction to this day. Isolation of stranded individuals. Most often this isolation seems to be geographic. Wide open spaces and what appears to be conventionally recognized waste land. Often it seems to be reminiscent of the wild west or dessert. With gigantic arching stone formations and a distinct lack of anything visible beyond the landscape. Another common theme is the imbalance of technology. 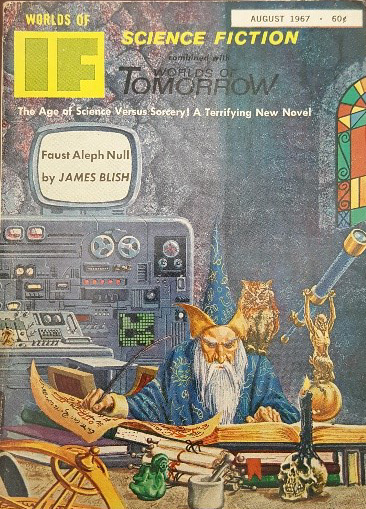 As seen in this August 1967 cover of The World of If Science Fiction, depicting the concepts from the novel The Age of Science and Sorcery. A bearded man that likely represents a Merlin type character is surrounded by technology. The argument of science versus science fiction has been made many times over the years. I doubt that either will win but the conversation is worth having. The third common theme was the contrast of humans shown as uncivilized man in a stark contrast to the machines and technology that around them. 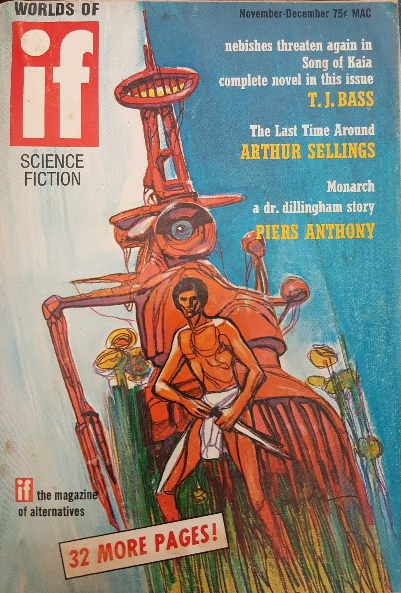 Very often I found that the cover art pitted the native man against well evolved machines. The common static representation of a sword wielding man fighting against what appears to be far superior technology. One of the best things about Science Fiction is its ability to move you past your own circumstances. Yet is maintains that same challenges we face in a different light. Escape and storytelling woven together. I have been a fan of contemporary science fiction and comic movies/series. Yet my love for written works and reading is relatively new in comparison. 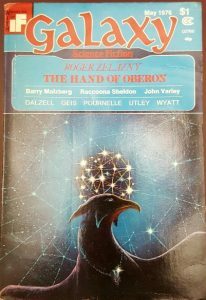 So when I was offered the opportunity to work on the Leigh Couch Collection of science fiction magazines at the Watkinson, I was a bit overwhelmed. As part of this project, I will clean, categorize, and inventory this collection while trying not to get too distracted by its content. That is likely to be easier said than done. The collection is approximately twenty-five standard banker boxes with neatly stacked volumes that are grouped and wrapped in plastic. They were stored in a barn so have varying conditions. Although it is a work in progress and will continue to be for many weeks, I am already beginning to discover hidden treasures. The work is slow and repetitive but seeing my first 120 volumes air drying was worth it. 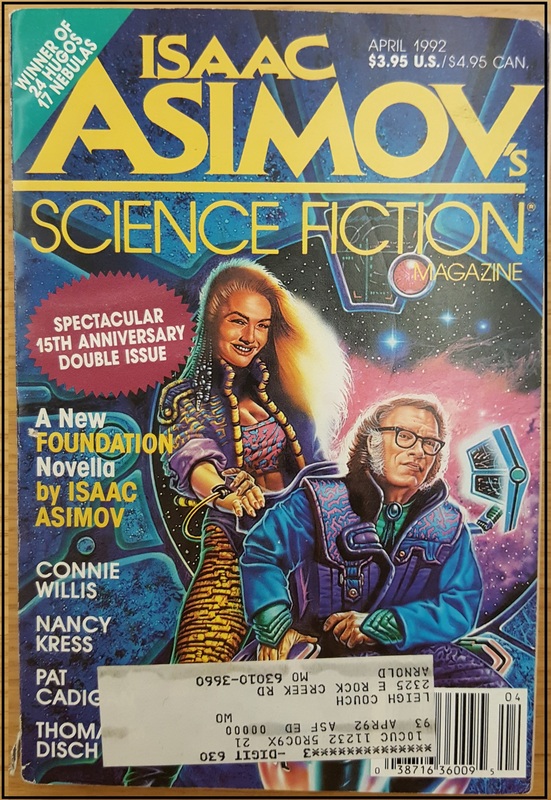 So far I have found at least three covers that remind me of favorite contemporary works, diverse images that speak to the duality of science fiction and their fans and even a cover that appears to be printed to be viewed with 3-D glasses. I will let you know how that works out once my newly purchased 3-D glasses arrive in the mail for me to view the cover again. I have barely scratched the surface of this generous donated collection and have found more than a few ways to let my mind wander and enjoy. That is really what science fiction is about for me. As Robert Frost wrote; “Two roads diverged in a wood and I took the one less traveled and that has made all the difference.” Here is to the less traveled road. 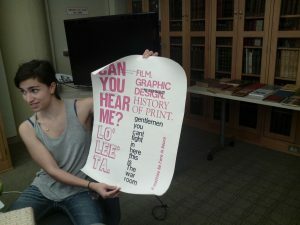 Sofia Safran ’18, the fabulous “Peer mentor” to the first-year students of my “World of Rare Books” seminar, shows off her typesetting and printing chops, displaying a poster she designed, type-set and printed herself! Sofia did a great 20-minute presentation on letterforms and typography, inspired by a summer study abroad program she took in the UK in Graphic Media & Design at the London College of Communication. You are currently browsing the archives for the students category.